This is a larger studio painting of the Reekie Linn Falls. It took some time to build up a brilliant white “underpainting” in thick titanium white. 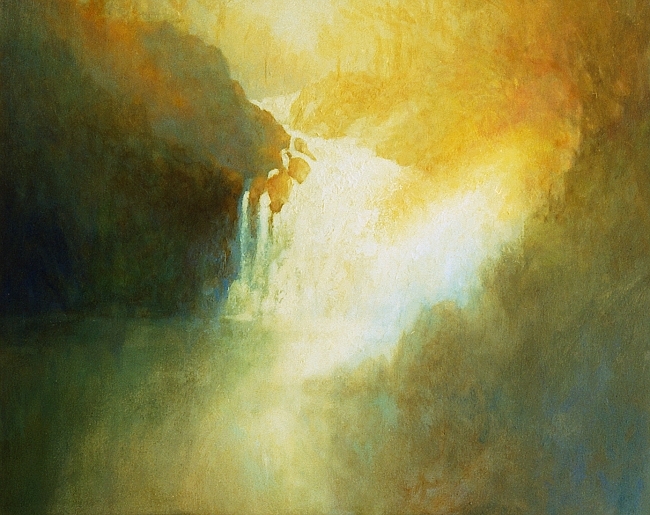 I couldn’t think of another technique which would have done justice to the pure luminosity of these falls when the sunlight breaks upon them, surrounded as they are by the shadowed rock. From the rocks at the foot of these falls the scene is that of a superb and powerful primeval landscape.